Welcome to ART AFTER DARK! We are a team of people who believe in creating a strong community while exploring the creative artist inside us all. Join us for an evening of entertainment, laughs, art and music while one of our talented artist’s guides you through a masterpiece painting created by YOU. Connect with friends and family in an encouraging environment that builds confidence and relationships while sipping on a delicious cocktail with one hand and holding a paintbrush in the other. ART AFTER DARK lasts around two hours and everything you need to create your beautiful painting is supplied. All you have to do is show up with a smile and a “go for it” attitude. 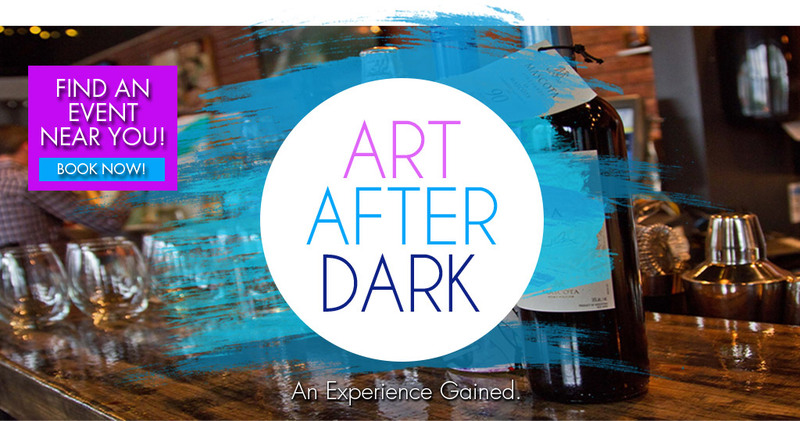 Click here to book your next experience with Art After Dark today! ©2019 Art After Dark. All Rights Reserved.